Employers are closely examining their benefits data to find ways to save money and provide quality care. Here are four tips that can help you go from rows of data to taking action employees can see in their benefits. 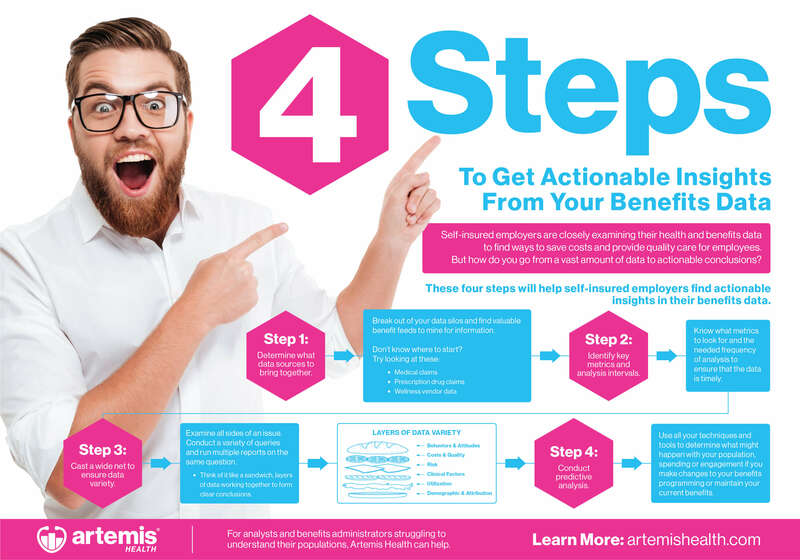 Download our infographic and learn four steps that will help self-insured employers find actionable insights in their benefits data.